Tune into the Local Lunchbox segment as Saebra of Milwaukee’s Saebra & Carlyle join Sid in the studio to talk about their split 7″ release for Record Store Day with Abby Jeanne – WMSE.org or 91.7 FM to listen! “Last April, Abby Jeanne celebrated Record Store Day by releasing a special edition 7-inch with WMSE. This time around, the eternally occupied singer is joining forces with another local favorite to put out another Record Store Day release. 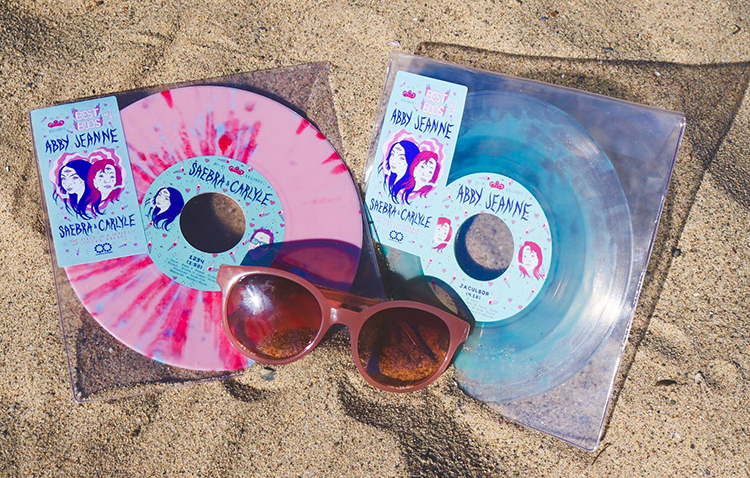 On Saturday, April 13, Abby Jeanne and Saebra & Carlyle will release a split 7-inch record.